Joe Kern defends financial institutions in state and federal court throughout the country in a wide range of matters involving consumer financial services litigation. Having previously worked in the financial services industry for various mortgage banks and lenders, Joe is able to provide his clients with a unique perspective throughout the litigation process. 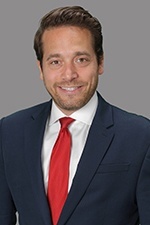 He has advised clients on a variety of claims, including those involving the Fair Credit Reporting Act (FCRA), Fair Debt Collection Practices Act (FDCPA), Truth-in-Lending Act (TILA), Real Estate Settlement Procedures Act (RESPA), as well as other state and federal consumer protection laws. Throughout his career, Joe has dedicated himself to partnering with clients both inside and outside the courtroom in an array of cases. Prior to joining Hinshaw, he spent more than five years bolstering his litigation knowledge at Chicago-based firms, a majority of which was at the headquarters of an AmLaw 100 international firm where he focused on consumer financial services matters. Joe began his legal career as a law clerk for a firm in Chicago. During law school, he also completed a judicial externship with the Honorable Allen S. Goldberg of the Circuit Court of Cook County. Born and raised in a northwest suburb of Chicago, Joe now lives in the Lakeview neighborhood of Chicago with his wife. In his free time, Joe likes to travel, read, golf, watch movies, go for runs, explore Chicago—basically do anything outside. Joe is also an avid Chicago sports fan and enjoys going to Chicago Cubs’ games whenever he gets the chance.